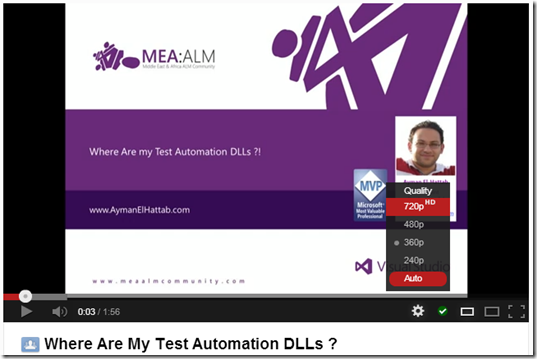 Where Are my SharePoint Test Automation DLLs? While performing automated testing for your SharePoint Solutions, have you ever wondered how the Automated Test Cases get executed on remote environments that smoothly? They just work and you don’t have to copy the Automation DLLs to the remote machines. For sure they get copied automatically somewhere, there is no magic here, but the question is where do they get copied ? The answer is in this video ! Oh, and the DLLs get deleted once the test is finished. By the way, you won’t be able to run Automated Tests from Microsoft Test Manager unless you assign a Build to your Test Plan. This makes perfect sense, the Test Controller needs to know the Build Drop Folder from which it will copy the DLLs to the remote testing environment.